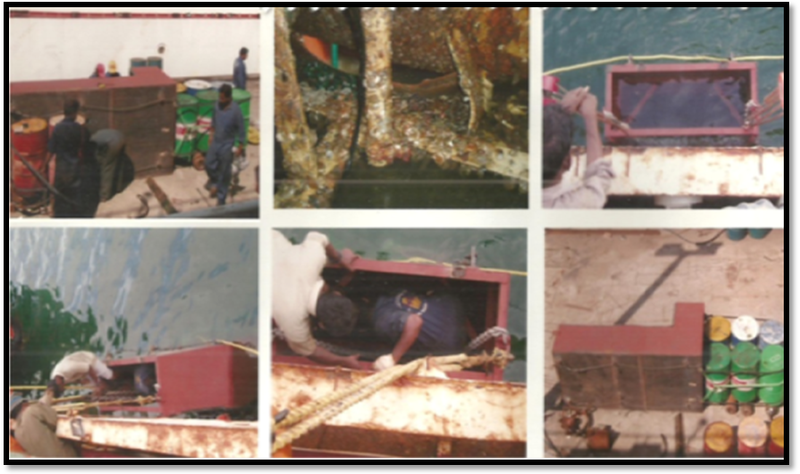 Replacing Ship’s Shell plate (1 X 1 Mtr Permanent Insert) at a depth of 5mtr, using COFFERDAM TECHNOLOGY by avoiding the Dry Docking with IRS Class Approval. 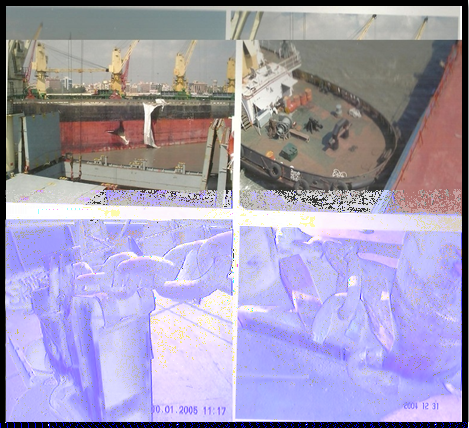 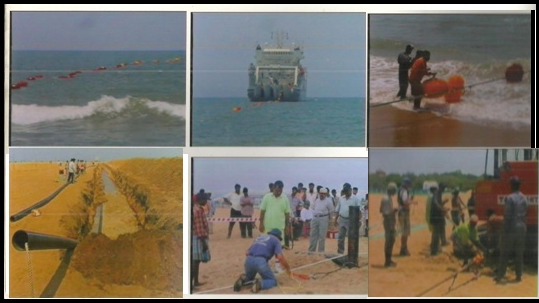 The 300 mtrs length of chain with 8.5 tons of anchor was traced, retreived & re fixed on to the ship (DON FRANE BULICK) without the assistance of external crane at Chennai port. 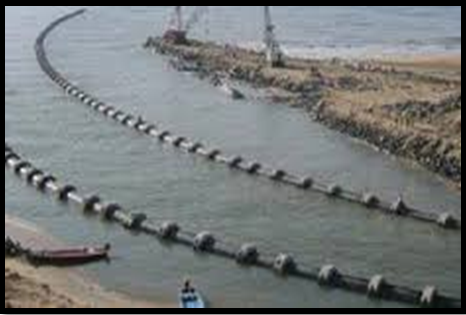 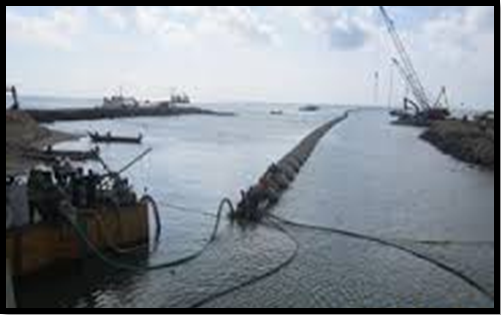 Using “DIAMOND CHAIN SAWING TECHNOLOGY “a damaged pile under the wharf, 1300mm dia with steel liner of 10mm thick around 7mtr length of weight 22MT, at a depth of 12 mtr was sliced at the sea bed level and removed as a single piece. 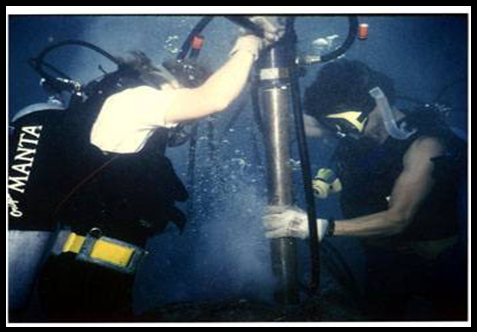 Core drilling at a depth of 7 mtrs on structure with outer10mm thick steel liner, 8” thick concrete in the middle and inner 8mm thick steel liner, four holes of size 4” diameter were drilled o the periphery of the structure.